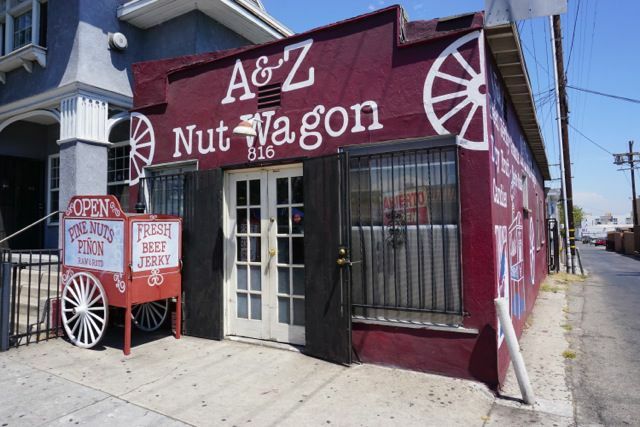 Boyle Heights — Customers entering Boyle Heights’ A & Z Nut Wagon find shelves of small bags stuffed with many varieties of nuts, seeds, dried fruit and candy. Knickknacks line the walls, including nutcrackers, old-fashioned toy cars, antique figurines, a miniature cart adorned with the shop’s name and Mexican novelty items. Located at the corner of Lorena Street and Whittier Boulevard, the shop has drawn both local customers and people from all over Southern California for more than 70 years. Some loyal customers who have left the area still have items delivered or stop by when they’re visiting.